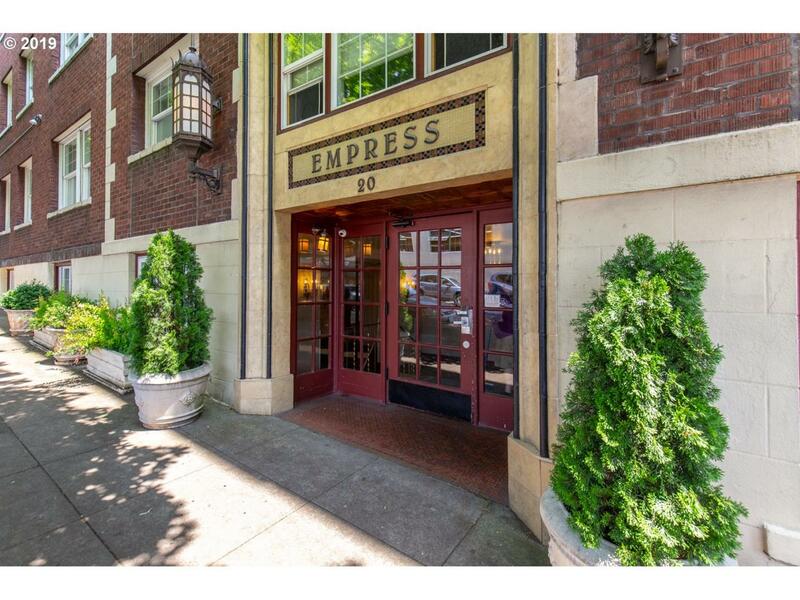 Beautiful views from this west facing unit in the historic Empress Building. Would make a fantastic rental due to NO RENT CAP. This building is located just a short walk away from Powell's Books, The Crystal Ballroom, and PSU! This unit features original hardwood floors and very cute turn of the century detailing. Don't miss your chance to be in the heart of Portland! Space saving murphy bed, newer fridge, W/D, built in Micro all stay!